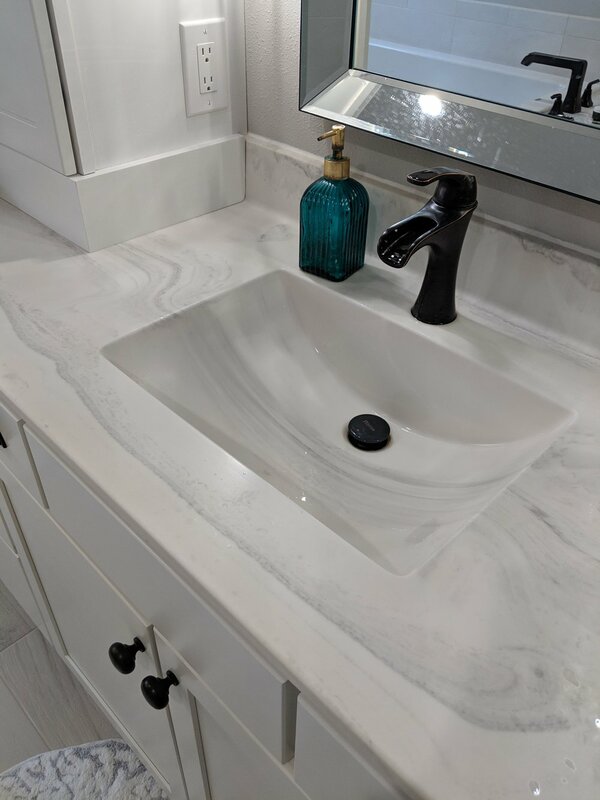 We can create countless options for your bathroom vanity tops. Explore the colors, bowl styles, and custom edges to create a custom look. Work with your designer to get the look that is perfect for your home. Elite Marble manufactures window sills for multi residential properties. For the best price and shortest lead time, we make white and biscuit window sills, but can do any of our colors or styles for design needs. 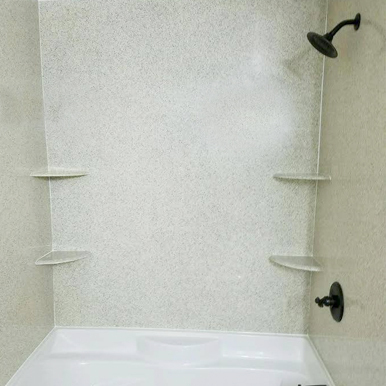 Elite Marble offers grout-free options for custom showers. The versatility of cultured marble for vanity tops is also available in your shower. Tyvarian® products are produced using a new technology that incorporates high definition images into cultured marble. It provides the look of true stone at a fraction of the cost.